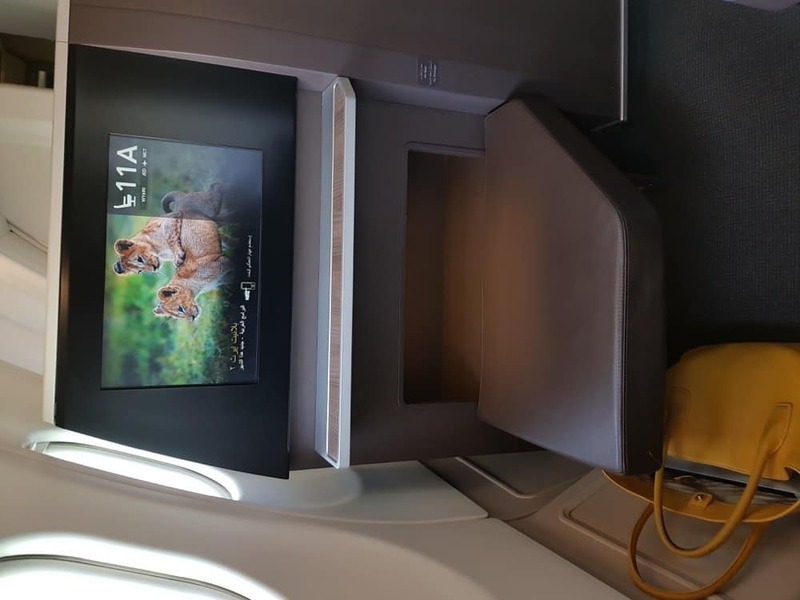 I always wanted to check out Oman Air’s business class as it seems to be one of the better and underrated ones out there. So when coming back from Umrah I didn’t find any decent cash options and I thought it would be a perfect time to test it out. 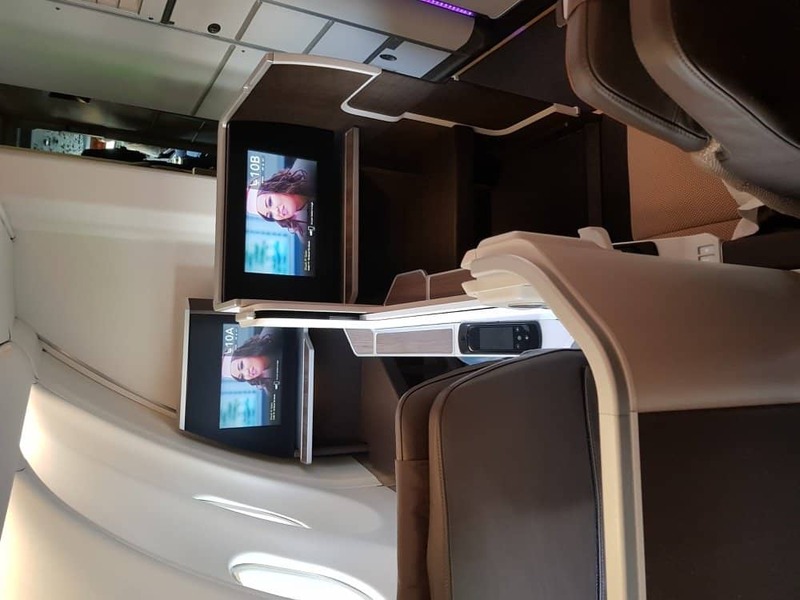 There are four flights from Jeddah to Muscat daily and they operate their new business class seats on two of their flights I believe. 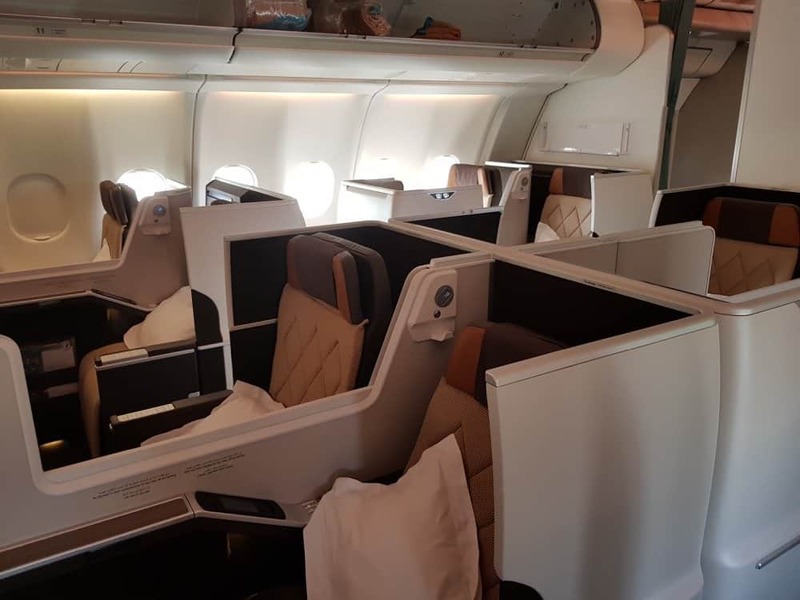 Going to Doha these days from Jeddah is tiresome considering that this flight was normally only 3hrs and 7,500 Avios away, however with the blockade things are different now. There are no direct flights between Doha and Jeddah and on busy periods there is hardly any Avios redemption even on their 10 a day routes to Kuwait. Also, paying £300 per person for an hour flight or £600 for 3 hrs flight to Jeddah was NOT on my wishlist! 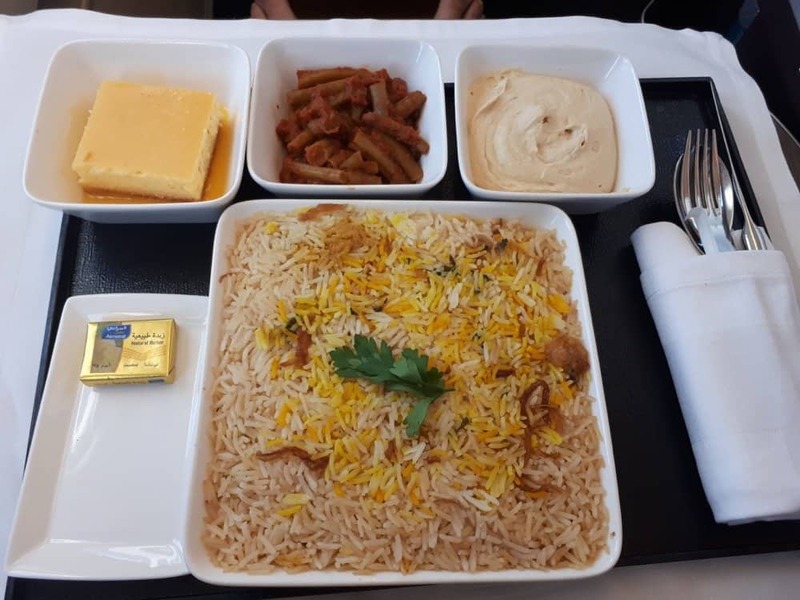 I had to be creative and I decided to go down the Oman air redemption route via Etihad Airways. 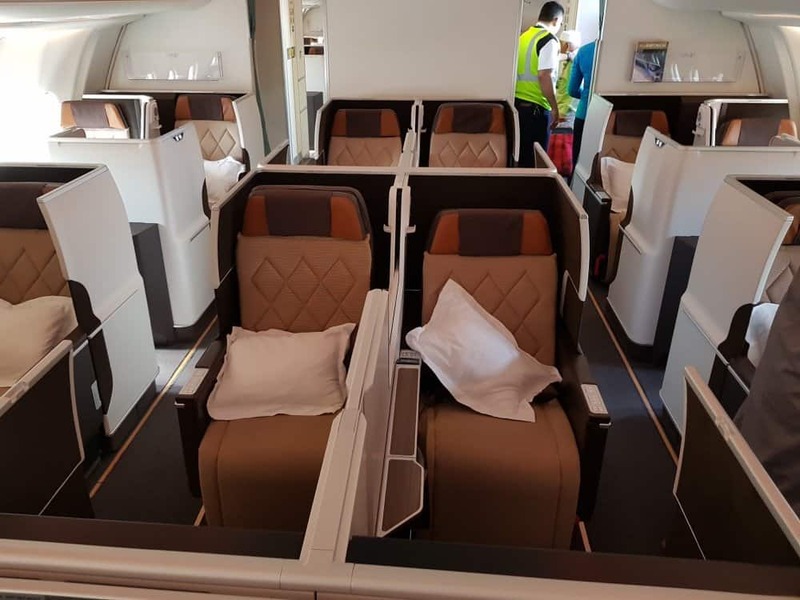 Now, not many people know about Etihad partners but they do have a decent selection and some of them are a great deal like these Oman Air flights. Plus even during the busy periods they still have availability. I booked mine a week before I fly. You can book these flights with your Etihad miles but make sure you do this a week in advance. You will need to call Etihad customer service in order to make a booking. I have found that their customer service team are excellent and it’s a joy booking with them, though bare in mind it takes 30min to complete the booking. A flight from Jeddah to Muscat is 8,000 miles in economy or 15,000 miles in business class. 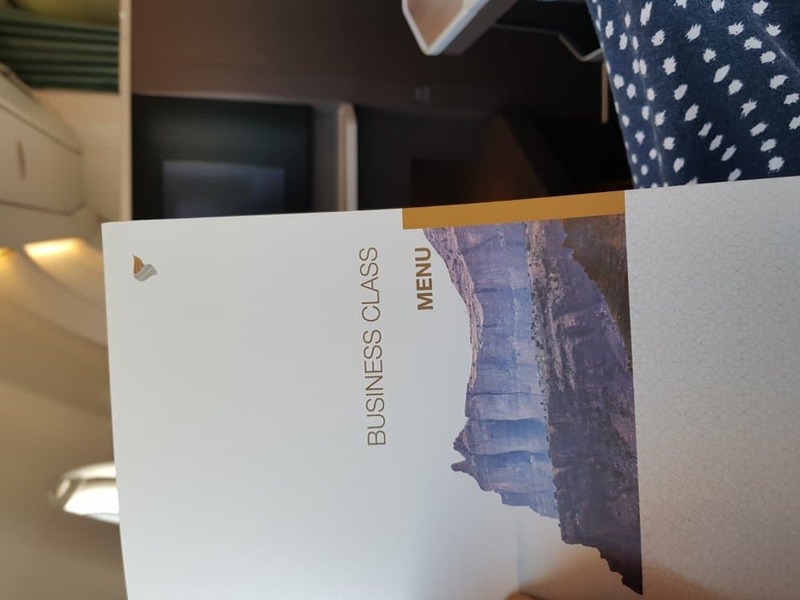 Our taxes in business class were £65 per person. Considering that the same flight costs £1,300 for two in cash I think it is a good value. Especially as I finally got it out of my system and checked out their business class product. We had been waiting for about 1,5hr because we arrived early in the airport and there was no information on the check-in desks (we assumed were not open); it seems they were but you just had to go around and look for them yourself. Eventually, we found our way there and after few questions about our residence status in Qatar were went through. The boarding of the flight was chaotic as you would expect in Jeddah airport, there is no business class line or anything of the sort you just wait until you make your way to the front of the massive queue. Fine by me really but it is not what you will see in a Western airport. On board, we were the first to board the business class section, yay!, and I did snap some photos. The staff was courteous as they were greeting the rest of the passengers on board. Before take off we were given a welcome drink, dates and warm towels. The staff was polite but not overly attentive. I had the window seat which was much more spacious and private than the aisle seat. I did try both and I have to say even on my next flight I will stick with a window seat. For women like me, it provides great privacy as well and I felt like in a cocoon relaxed to enjoy my movie without worrying about my hijab. 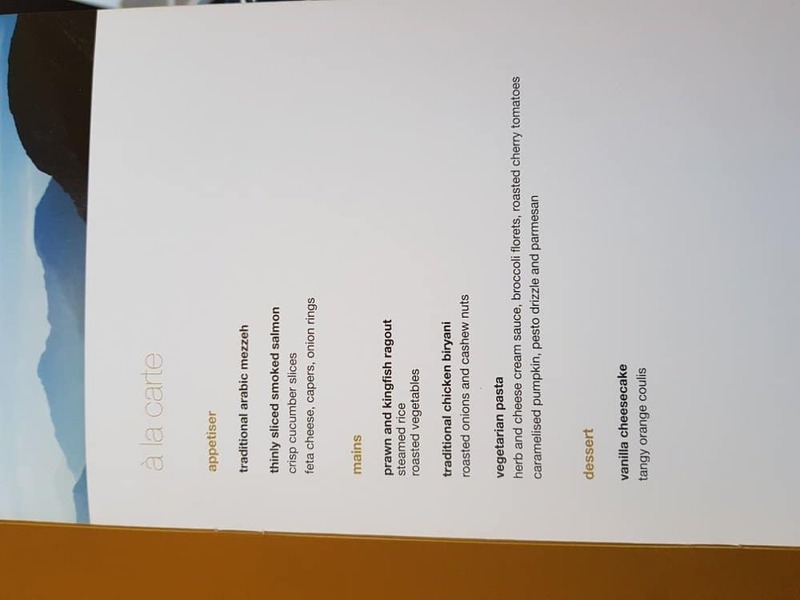 The food choices were OK, presentation wise was nothing wow and also taste was average. I thought it will be better but sadly it let me a little down. I decided to try the biryani which was all served on one platter and it lacked taste or sauces. I guess for a very short flight it was OK. I spent the rest of my time watching moving and sleeping for about 30 minutes. We did arrive about 40 minutes early to Muscat which was not welcomed, I would have liked to spend more time in business than at Muscat airport. On our onward journey from Muscat to Doha, I had booked a redemption in economy for 3,000 Etihad miles one way per person plus £35 in taxes. In comparison, an Avios redemption is 4,500 points and £53 in taxes. Definitely, the best deal since the flights for these flights in cash was £200 due to the bank holidays. 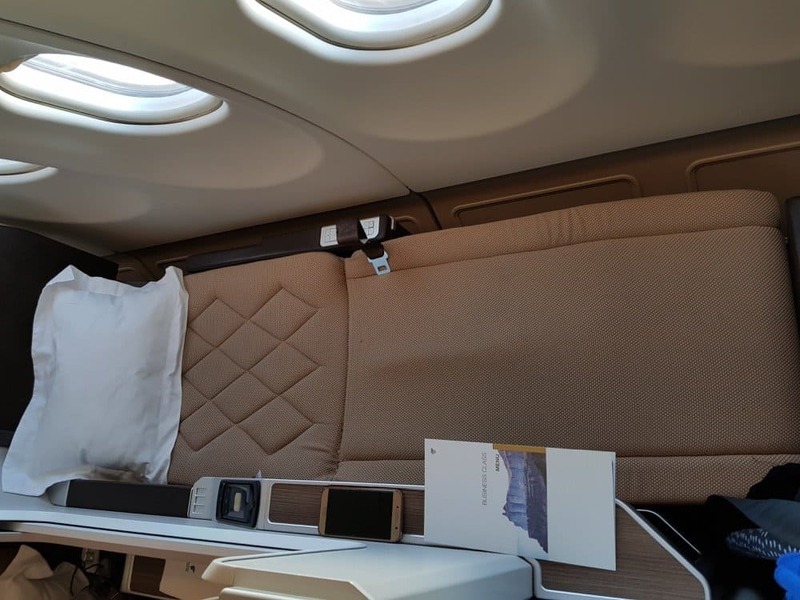 Overall I think the Oman Air business class is a great seat, comfortable especially the window seats and I liked the privacy window. If the price is right and I need no miles or tier points I will happily book it for a longer trip. why didn’t you book both flights on the same ticket? due to the blockade? I didn’t want to risk it. 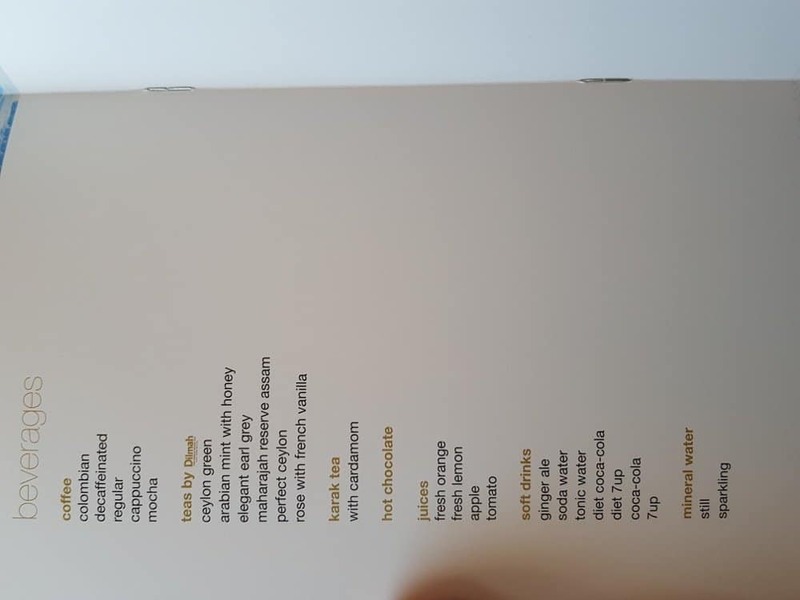 But also Etihad said they have to be book separately which was my goal anyways so I didn’t ask them further. Muslim Travel Girl, thanks a lot for the post.Really thank you! Much obliged. Thanks for this, how did you get Etihad miles, was it a MR transfer?